Steve Williamson is regarded as Jindabyne’s number one fishing guide & is one of Australia’s TOP fishing guides. WE ARE THE ONLY FISHING GUIDES THAT TEACH AND GUIDE IN ALL DISCIPLINES OF TROUT FISHING. WE SPECIALISE IN TEACHING BEGINNERS AND GUIDING EXPERTS ! FLY FISHING – Stream, River, Lake. (Dry, Wet, including Harling and Lock style) We specialise in beginner fly lessons and packages. Guiding service available. Inquire about our weekend Fly Fishing Schools. BOAT TROLLING – including ‘Downrigging’, ‘Leadlining’ and ‘Bait Trolling’. Advanced lessons on trolling. Our boat has the latest gear including Down riggers, side planers and the latest in ‘Lowrance/Eagle Sounders’. 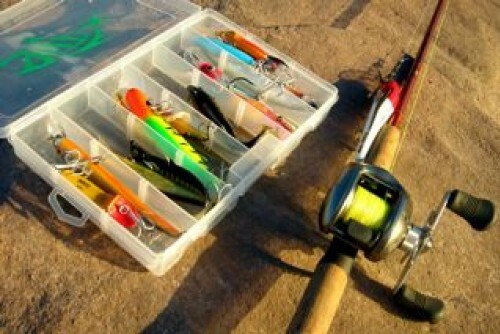 LURE SPINNING – both Lake and River (including ‘Driftrigging’) All tackle and lures are provided. NO charge for lost lures. 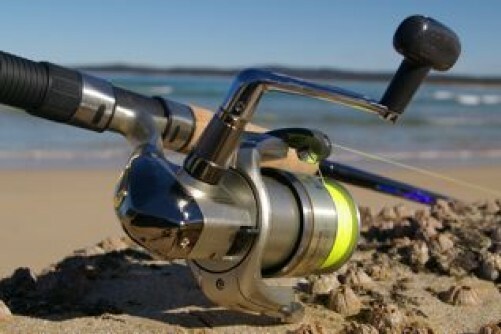 LIVE BAIT FISHING – including ‘Course Angling Techniques’. Lake Jindabyne offers the best bait fishing in the mountains.As the rivers are closed to all methods of fishing in winter our fishing is restricted to the lake. Our most popular tours over winter are out Lake Boat Trolling tours. LAKE TROLLING by boat. Our boat is a 6.1 metre ‘Marlin Broadbill’ fully ‘NSW Waterways’ surveyed for your comfort and safety in all weather conditions. Trolling is probably the easiest and most productive way to catch a trout or salmon. A relaxing way to fish, sit back, relax and wait for the fish to bite while you cruise around beautiful Lake Jindabyne. The boat is fully equipped with the latest fish finder, you may even see the old township of Jindabyne on our ‘Lowrance’ sonar equipment. Try advanced trolling methods like ‘Leadlining’, ‘Downrigging’ and ‘Side planers’. NO EXPERIENCE and NO FISHING LICENCE NEEDED ! Every thing supplied, just bring yourself ! Winter – As the rivers are closed during winter the lake is the only option. Prices are listed below. Summer – There are four methods used to catch trout in the Snowy Mountains and Steve Williamson can help you experience one or all of those methods. You can use lures to spin the lakes and rivers, you can fly fish the streams or rivers, you can bait fish the lakes or why not experience a lake trolling trip from Steve’s well equipped boat, just sit back relax, enjoy the beautiful scenery while you wait for the fish to bite. Whatever method you choose to fish we can help you out. On our half day tours (4 hours) you can choose one or two methods to try and on a FULL DAY (8 hour) tour you can choose one method or all! The full day tour where you try out boat trolling, lure spinning, bait fishing and fly fishing lessons is a great start for new comers to the sport that want to experience all the ways you can catch a trout. All tackle supplied just turn up! DAY TOURS (8 hours duration) Spinning, Bait fishing, Fly fishing and Boat Trolling, choose to experience one or all of these methods. Private (1 person only)-$620.00 2 share- $340.00 each. 3 share -$270 each 4 share -$230 each. PLEASE NOTE Full 8 hour day on the boat has a minimum charge of $770 for 1 or 2 people. HALF DAY(4 hours duration) Spinning, Bait fishing, Fly fishing and Boat Trolling, choose to experience one or two of these methods. Private (1 person only)-$375.00 # 2 share- $210.00 each. 3 share -$170 each. 4 share – $150 each. # Minimum Charge for the boat ONLY is $110 per hour (Larger groups by quotation- We specialise in corporate trips) Two to 7 day packages, with accommodation, by quotation. We also offer fishing clinics and specific tours in just any of the methods in the summer. Price: Winter Lake Trolling $220 (2 hours), $280 (3 hours), $340 (4 hours)- prices are for the boat for 1-4 passengers. Departure Point: Shop 1, Snowline Service Centre Kosciuszko Rd (near Alpine Way intersection), Jindabyne. Return Time: Depending on the lenght of the tour. Inclusions: Quality rods & reels, tackle are all included. Frefreshments on 1/2 day tours and a lunch on the full day tours. “As a member of the Professional Fishing Guides and Instructors Association I would have to rate him as the most professional and enjoyable guide I have ever met!.. “David Magner – ‘Fish ‘n’ Tackle’ magazine. “Lake Jindabyne, I did the right thing in 1972 and took my wife there for our honeymoon. I just love the place, the people are friendly, the environment is beautiful. For local knowledge, Steve Williamsons’ Trout Fishing Adventures.’ “Rex Hunt – Sydney Morning Herald, Dec 2004. The region’s longest serving fully professional fishing guide. Australia’s first inland charter boat operator. Fully qualified ‘captain’ with certificates in marine safety, survival, fire fighting, radio operation & first aid. Most successful guide for ‘The 1999 World Fly Fishing Championships’. Member of ‘The Professional Fishing Guides and Instructors Association’. Most experienced guide fishing the Snowy Mountains area. Author of ‘Trout fishing the Snowy Mountains’. Steve Williamson’s Trout Fishing Adventures can also offer trout fishing trips for the disabled angler. Accommodation can also be arranged to suit personal needs. Sight seeing trips of the Snowy Mountains can also be arranged. The non – angling partner is always looked after. Large groups are a specialty, clubs, conferences and large family groups are a speciality.